I’ve been meaning to write for some time on the debate caused earlier this year by the ninth circuit of the US Federal Court decision in Institute of Cetacean Research v Sea Shepherd. Somewhat controversially it held that political protesters, if they crossed the line into violent protest, could commit piracy. The point is controversial because piracy is defined under the Geneva Convention on the high seas and the UN Convention on Law of the Sea (UNCLOS) as being an act of violence committed on the high seas by a private vessel against another vessel “for private ends”, a requirement often taken to exclude “political ends”. The decision has drawn different reactions in the international law blogosphere. Eugene Kontorovich thinks the court got it right (acts not sanctioned by a State are private); Kevin Jon Heller is convinced that the court got it wrong (politically motivated acts are not private). * Whenever debates about the meaning of words in the treaty law definition of piracy break out, academics are irresistibly drawn to the work of the International Law Commission (1955-6), the earlier Harvard codification project (1932) and –occasionally – the even earlier work of the League of Nations (1926) on the topic. The point of this brief note is to suggest that when it comes to those historical materials, we lawyers often greatly overestimate their usefulness. To begin at the beginning, where do these hotly contested words “for private ends” come from? ** They do not in fact appear in any of the historic case law. Justice Story conducted a wide ranging review of the historic sources in a famous 18 page long footnote in the 1820 case US v Smith. None of the English, French or Latin authorities cited there (as far as I can translate them) contain any equivalent to the words “for private ends”. As far as I have been able to ascertain the words were first used in Joel Prentiss Bishop’s New Commentaries on the Criminal Law (8th ed) of 1892, effectively as a synonym for animo furandi (intention to rob, now generally dismissed as being a necessary element of piracy). The phrase was next picked up by Ambassador Matsuda in his draft articles and memorandum on piracy for the League of Nations Committee of Experts on International Law in 1926. Matsuda’s intentions in using the phrase were a little difficult to discern. But before we get to what he probably meant by these words, we need to appreciate the problem they were intended to address. Put simply, there was a conflict in the authorities as to the status of belligerent insurgents in a civil war who committed acts against the shipping of foreign states on the high seas. The question of how to treat the status of insurgent naval activity under the law of piracy was resolved in different ways by different codifiers across the twentieth century. Confusingly, however, they used the same language to achieve subtly different ends. Matsuda’s League of Nations draft articles excluded from the definition of piracy acts “acts committed with a purely political object”. One might think this created a very simple distinction based on the subjective motivation of the potential pirate. However, if one reads the explanatory memorandum and the League of Nations Committee debates on point a more complex picture emerges. Matsuda favoured an approach based on the objective character of the actions involved and whether they enjoyed State sanction. It became clear in the debates that what he favoured was a narrow exemption from this general rule for certain “purely” political acts. The difficulty is, it was never elaborated either by Matsuda or in debate, precisely what this was intended to mean. The Harvard Codifiers took a different view in 1932. While they acknowledged that there was historic case law under which insurgents had in some cases been treated as pirates, they thought such cases better reflected a special rule of international law giving jurisdiction to the flag state of vessels attacked by Civil War insurgents unlawfully. A separate rule to this effect was included in their draft article 16. Their use of the words “for private ends” was intended to signal the presence of this special rule covering the situation and exclude such cases from the law of piracy. Importantly, in the Harvard Commentary’s own conception, this exclusion was only intended to apply in limited cases: ‘made on behalf of States, or of recognized belligerent organizations, or of unrecognized revolutionary bands’ (p. 786). The point is that the list did not reflect a general point about political motives, but a closed list of contentious cases. It is also apparent from the historical context that virtually no consideration was given either to terrorists all political protesters as we now understand the concepts. (The League of Nations thought ‘anarchistic’ motives could be piratical.) The narrow exception to the general rule was only intended to deal with certain military or insurgent activities. Attempts to make arguments based on this historic material in cases like Sea Shepherd involves reasoning by analogy, one which in my opinion goes far beyond the intention of the classifiers. However, while interesting, the intention of the codifiers is of quite limited relevance to the interpretation of UNCLOS. Such historic material falls well outside the usual range of resources a court or tribunal might have access to under the rules of interpretation found in the Vienna Convention on the Law of Treaties. Some of the commentary on point seems to presume that in the absence of anything else such materials can be treated as equivalent to preparatory works. The point in treaty interpretation, however, is to ascertain the intention of the drafters. In cases where the drafters left no supplementary materials of their own which are directly on point we are left only with the words they agreed upon – the treaty text itself. Indeed, this very approach has admirably been employed in the recent decision in US v Ali (on aiding and abetting piracy), dismissing the relevance of arguments based on the idea that the Harvard codification project reflects the controlling intention of treaty drafters 50 years later. Here I would come back to my basic point on this question: in law we usually do not contrast the word ‘private’ with the word ‘political’; the usual dichotomy employed is between ‘private’ and ‘public’. Precisely why having a political motivation of the type held by a protest group or terrorist organisation should exempt one from the law ordinarily applicable to violence on the high seas has never been satisfactorily explained to me. As a final aside, someone will likely raise against me the Achille Lauro incident and the subsequent Convention on the Suppression of Unlawful Acts against the Safety of Maritime Navigation as showing that the law of piracy did not apply to terrorist episodes (otherwise, why did we need the SUA Convention?). The most obvious retort is that the laws piracy did not apply to the Achille Lauro because the event occurred entirely aboard one ship. The ‘two ship’ requirement under the law of piracy was fully appreciated by the states that proposed the SUA Convention (Austria, Egypt and Italy) and was among the reasons cited for such a convention being necessary. *In which, vanity compels me to note, one of my articles was cited. **This blog post draws loosely on research to be published as: ‘Piracy and terrorism’ in Panos Koutrakos and Achilles Skordas (eds), The Law and Practice of Piracy at Sea: European and International Perspectives (Hart, forthcoming 2014). I find it curious that most articles on this subject halt at the adoption of UNCLOS. Yet is this not the classic example of a living document? If the acts of unrecognised bands was a contentious case at the time of the harvard draft – which seems to have been adopted and subsequently reiterated into the UNCLOS provisions without consideration, shouldn’t you look to state practice to resolve the issue? I have not heard of many cases of political activism being treated as piracy, although that may be due to the fact that thankfully most believe in peaceful protest. Looking to sea shepherd no state seems to have treated them as pirates – including the japanese who stated to the opposite effect that their activities would not be covered. Perhaps they are not the best example, as Paul Watson is on record stating such shenanigans are in part to raise funding – ie not purely political. But what about Greenpeace? The belgium case seems to have never been followed. Were some state to suggest greenpeace ramming of whalers was piracy and apply it’s criminal law to all those on the Arctic Sunrise would such a decision be accepted? What about all those who have donated to Greenpeace, funding ‘piracy’? I think perhaps my main issue is how do you decide which viewpoint is to be taken? I think Douglas rests on should the political motivated acts fall within an exception (“exempt”) to the rules on piracy (aka violence on the sea), whilst Kevin sees the private ends as a very requirement before being classified as piracy. I would hazard at this stage to go with the second view that modern law as it stands does not include purely political acts as piracy. This is a very small exception – not covering somali ‘coastguard’ mixed motives, and likely Sea Shepherd mixed motives. The reasoning being twofold. Firstly as a universal jurisdiction crime, PIL naturally points to a very restrictive interpretation. Therefore the onus would more likely be why should we accept all not state sanctioned ‘violence’ at sea should be within the purview of piracy? Secondly the piracy regime is governed by the balance between flag state sovereignty and the collective interests of all states in high seas navigation. States wish to permit encroachment onto their exclusive flag state jurisdiction to the minimum extent possible. As you pointed out political piracy was not really anticipated at the time of the Harvard draft (although I would think by the time of UNCLOS?). Piracy is an exception to this perogative – we should not be looking to carve ‘political acts’ into the ‘private ends’ exception, but rather does it constitute acting for private ends and therefore ‘piracy’ – the exception to flag state exclusivity. It is to be noted that the Article, although designed primarily for the cases of excesses of unrecognized foreign revolutionaries and of irregular foreign privateers, covers all non-piratical but unjustifiable attacks for public or private ends on persons or property under the protection of a state on the high sea. The dismissal of the historical material in US v Ali certainly seems questionable, in view of the apparently contradictory emphasis on “the rich history of piracy” in Institute for Cetacean Research v Sea Shepherd. Although the “rich history” seems to have comprised of case law rather than the drafting history of UNCLOS , that approach does betray an assumed continuity between the historical and modern laws of piracy. In addition, Judge Jesus of the ITLOS, writing extra-judicially on the subject of piracy, has expressly drawn on the Harvard Research to clarify the meaning of the “private ends” criterion . Although understandable, the approach to the historical materials in US v Ali seems to artificially separate Article 101 of UNCLOS from this historical and, by extension, legal context. The above-mentioned “closed list” was discussed by the ILC, along with many other key extracts, for example. Jesus. J.L., “Protection of Foreign Ships against Piracy and Terrorism at Sea: Legal Aspects” The International Journal of Marine and Costal Law, 18, 3 (2003), 378. See also Texas and Pacific Railway v Scoville, (1894) 62 Fed. Rep. 730, 731. Halberstam, M., “Terrorism on the High Seas: The Achille Lauro, Piracy and the IMO Convention on Maritime Safety,” 82 (1988) American Journal of International Law, 284. In relation to your research idea, does this not go to the catagorisation of ‘private ship’ as opposed to ‘private ends’? Sovereign action is not carried out by private ships, and therefore outside the realm of piracy (unless by result of 102). Private ends seems to go to a different issue. @Arron H – I would agree that the “private ship” requirement may reflect ideas of immunity, but that need not mean that the “private ends” requirement has an altogether different rationale. Similarly, a State agent could intentionally facilitate acts of violence committed by the crew of a private ship. The “private ends” criterion would again be decisive so, even if both the “private ends” and “private ship” requirement derive from ideas of immunity, they do not render each other redundant. Thank you for your very well thought through comments, criticisms and contributions. 1) I think privileging historical interpretations of words of a general character (like ‘private ends’) are potentially mistaken. 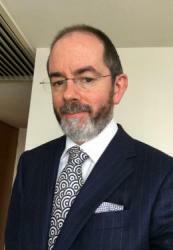 Alan Boyle has written about the law of the sea convention as a living instrument, noting that one of the ways it may be progressively interpreted is that general words (as opposed to highly technical words) may be given their current meaning and not be constrained entirely by an historical one. 2) Even if we concede, which I do not, that the words private ends as at 1932 had the meaning that the Harvard codifiers attributed to them, they arose only in the context of dealing with questions of insurgency and belligerency in civil wars. 3) Effectively, the Harvard codifiers decided that genuine Civil War insurgents should be immune from prosecution as pirates (though not necessarily immune from the application of other rules of international law). The circle they were trying to square arose only in a world in which there were still rules on the recognition of belligerency in a non-international armed conflict. Those rules have now fallen into desuetude. Thus, the underlying policy reason for the rule no longer exists. 4) Analogising from that historical context to say that the words ‘private ends’ now cover terrorists (who do not seek to establish the government or territorial control) or political protesters, is effectively to confer belligerent powers (or a privileged belligerent status) on actors who are not party to an armed conflict. 5) Thus, to my mind, focusing on the historical meaning of the words at 1932 is anachronistic. In doing so one risks importing into a radically different context a rule designed to deal with non-international armed conflicts. The idea of the specific context in which the rule developed is very interesting. But assuming then we do not focus on the historical meaning (whatever that ends up being), and instead look afresh with modern state practice, would a living interpretation support the idea private ends is “violence without state sanction” or would it support the proposal that political attacks are excluded? I apologies for not having time to look extensively into the case so might have missed something; but what if we take Operation Active Endeavor as an example. Here the counter terrorism activities require the consent of ship master and flag state prior to boarding. Doesn’t seem to suggest any exception for violence (terrorism) aimed at other ships on the high seas. Surely if they were pirates NATO could board for inspection without any prior consent? Article 103 and 105 of UNCLOS would give the necessary authority. @george : It’s an interesting idea, your example of the Enrica seems a good example. Here is says the incident was 20.5nm from the coast though, so fact it wasn’t on the high seas doesn’t matter. It’s only the territorial sea that is excluded from piracy. But I don’t think a marine could transform the actions of other civilian members of the crew into non-private ends by facilitating their violence.